Protecting your business and its data is a necessity, but paying premium prices for the maintenance and support contracts to protect it isn’t. Manufacturers’ support contracts can raise the cost of maintaining your storage significantly and add complexity by making you work with multiple manufacturers and their different contracts. Manufacturer’s contracts also may not allow for the level of customization you need in your support contract. At Vilis Systems, we simplify your maintenance and support by being your single point of contact for multiple manufacturers and technologies. When disaster strikes, Vilis Systems also offers incidental support packages to get your business back up and running as quickly as possible. We realize that every business has different needs and requirements for their IT storage maintenance and support which is why Vilis Systems works with you on a custom support quote with only specifically what you need to meet all of your maintenance and supports needs to ensure your business’ IT storage uptime. Some of the manufacturers we support include EMC, EqualLogic, Brocade, QLogic, 3Par, HDS, Nexsan, Netapp, Dell, HP, IBM, Fujitsu, Copan, Isilon, Xiotech, Compellent and many more. If any part of your SAN is out of warranty, contact us to find out more about how we can help. Vilis Systems has been providing industry leading support for over 10 years. Leverage our expertise, save up to 60% and simplify your maintenance and support today. 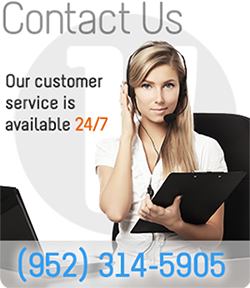 Call (952)314-5905 today to learn more about our custom maintenance and support options.